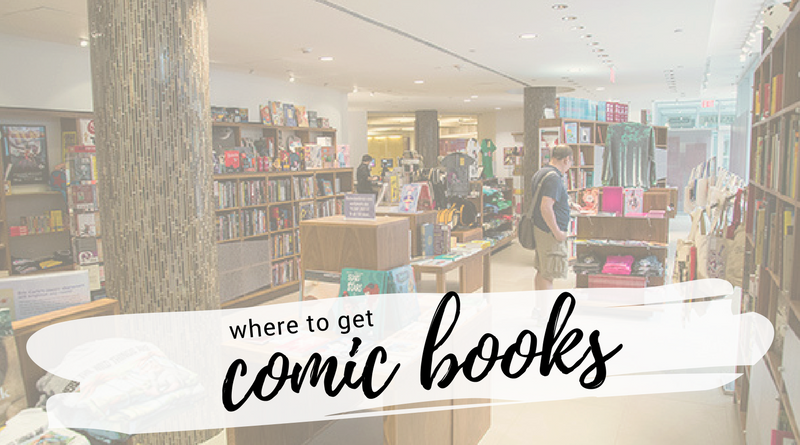 For this week’s How To Get Into Comics, we’re going to be talking about places that you can get your comic book fix. There are tons of options for you that start at the low, low price of FREE! Of course, some of these options do require that you pay money for your comic books, but I’ve made sure to also talk about some ways that you can try out comics without making a dent in your wallet. If you’re in a place that happens to have a comic book shop, this should have what you’re looking for…in theory. Supporting a good local comic book shop is great, but if you’re intimidated or if your local shop has a reputation for not being welcoming, don’t feel pressure to support that kind of environment; we will all understand taking business elsewhere if this is the case. However, if you feel okay stepping into a comic book shop, hopefully the staff can help you find what you’re looking for, or recommend you some titles to check out. They’ll have current single issues, back issues of older comic books, collected trade paperbacks, manga, collectibles, and more. Of course, this can vary from shop to shop but typically most sell an assortment of what I just mentioned. Comic shops can create something called a Pull List for you which is basically putting aside copies of a certain series you want to follow regularly so you’re guaranteed that book when it comes in. One of the employees can tell you more about that or you can continue to tune in to our articles and we’ll be covering Pull Lists (and pre-ordering comics) in the near future. This seems pretty self-explanatory but hey, your local bookstore probably has comic books! Mind you, they don’t typically sell single issues, but many of them most definitely will carry trades that you’re looking for. 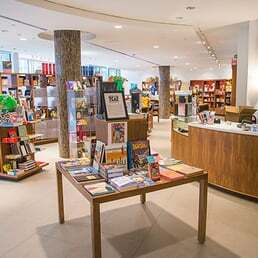 If you’re in Canada, the Indigo/Chapters chain is really good for carrying local creators work and trying to support them. Not everyone likes supporting big chainstores, but at least over the years, they’ve grown and now offer a pretty wide variety for consumers. Almost all bookstores at least sell some comic books so if you don’t have options in your area, make sure to check them out. A lot of people don’t realize this but you can get comics for free legally through your local library. Over the years, libraries have expanded greatly to include comic books on their shelves so you can get a number of amazing titles for LITERALLY NO MONEY. The library systems have also integrated digital apps so that you can read comics (and other things) on your tablet, smartphone, or computer. All you need is a working library card and BAM! you’re all set. The program that I like the best (so far) is hoopla. This also acts as a substitute for ComiXology Unlimited for folks who aren’t in the United States. Under the digital section, I’ll cover Kindle Store comics, but I’m mentioning Amazon here since you can buy collected comics right on Amazon. This is great, especially if you live in a remote place that doesn’t have a lot of bookstores or a comic shop. The prices are typically a bit lower too, so you can get more bang for your buck. I know not everyone likes supporting Amazon, but it’s a pretty great way to get your comic books without ever having to leave your home. I’ve broken this up into two parts. DIGITALLY and then WEBCOMICS. In this case, DIGITALLY refers to comics like single issues that you pay for, things that you can get in physical form at a bookstore or comic book shop. Here are a few places that you can purchase digital copies of comics to read on your tablet, smartphone, or computer. ComiXology – if you’re in the US, ComiXology also has a great Netflix-like program called ComiXology Unlimited where you can get a number of great comics for one low monthly rate. It’s definitely worth investing in, especially if you’re just coming to comics as they have a ton of first volumes for a number of great series.One thing you need to be careful of as a ComiXology consumer that may be outside of the USA is that there is no way to change the price of the comics on there to your own currency so all of the comics are in USD…a lesson that I have had to learn the hard way. Kindle Store – I don’t love buying comics via Kindle (but that’s my personal preference) but with that being said, despite the fact that Kindle is owned by Amazon and Amazon owns ComiXology, there’s not an integrated system to read your Kindle books on the ComiXology app or vice versa. Kindle, however, undercuts ComiXology and often sells their comic book trades for significantly less than ComiXology does. For instance, almost all Marvel trades (including new releases) are usually no more than $5 CDN on the Kindle Store. On ComiXology, they can be upwards of $15 CDN (give or take), which seems like a bizarre business practice to me. If you’re looking to try some Marvel Vol. 1s, definitely go to the Kindle Store first. There are tons of great places to read webcomics for free. Many creators host their comics on their own web sites or Tumblr but here are a few sites that host webcomics in one place. Tapas – is a web site where anyone can upload their comics for the public to read and enjoy. The comics on Tapas are free but there are links to the creative teams and many of them have Patreons that you can choose to pledge to in order to show your support for their work. LINE WEBTOON – A similar platform to Tapas with a few differences. Anyone can sign up for LINE WEBTOON and anyone can read the comics that are on the site. LINE WEBTOON, however, offers a payment plan for creators and has a system in place to give monetary compensation to the popular comics that bring in major traffic. Like Tapas, LINE WEBTOON also links to Patreon so that you can support the creators that are making the comics. If you have any updates or amendments for this piece of any of the others in How To Get Into Comics, please send an email to info@creatorresource.com. If you or a friend has used our columns to try comics, we’d love to hear about it! Please leave a comment below, reach out to us via social media, or once again email me at info@creatorresource.com. You forgot to mention my favorite place to get comics. . . Kickstarter! I have been getting some amazing reads.